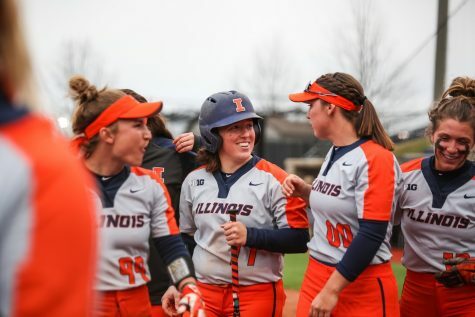 Illinois outfielder Carly Thomas (25) celebrates with her team at home plate after hitting a homerun during the game against Iowa at Eichelberger Field on April 21, 2018. 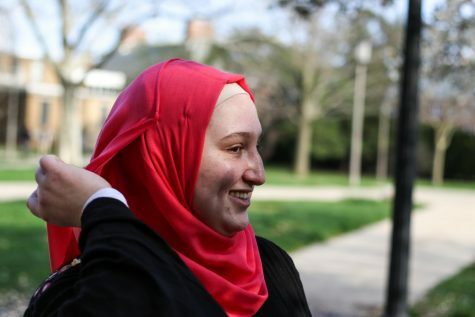 The Illini won 6-5. 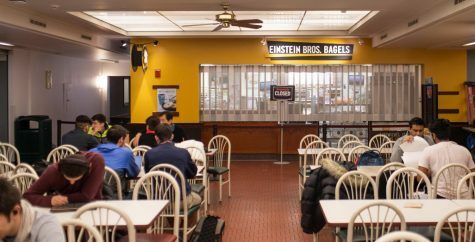 After game cancellations in two straight tournaments, the No. 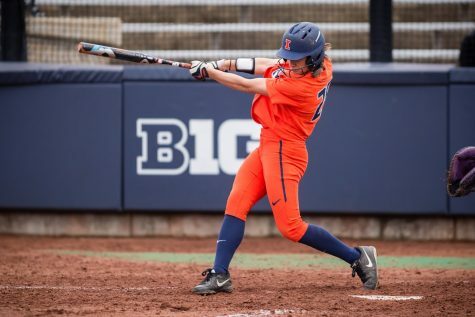 20 Illinois softball team played a full five-game tournament in Los Angeles this weekend. 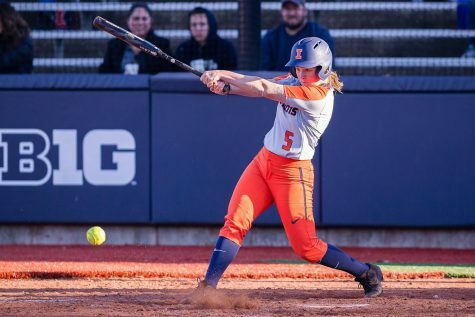 The Illini headed into the Loyola Marymount University tournament on a loss to Seattle University almost two weeks before but quickly put that in the past by going 4-1 on the weekend, led by first-inning offensive performances. 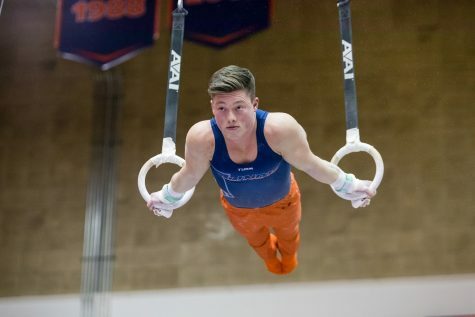 Illinois improved to a 16-5 record over the weekend. 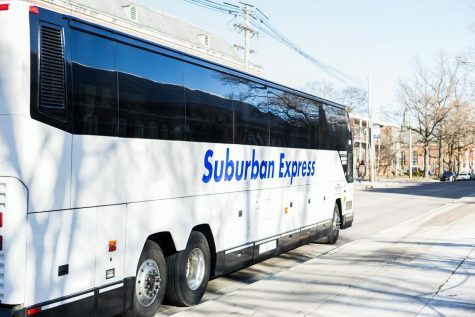 Illinois opened up the three-day tournament with two five-inning wins as Illinois dominated both University of California, Santa Barbara and California Polytechnic State University. Freshman Sydney Sickels opened up the weekend in the circle against UCSB earning her ninth career win. Sickels came out of the gates strong, shutting out UCSB through three innings. Sickel’s early performance was backed up by Illinois’ bats as they recorded six of their 11 runs in the first inning. Fleming and sophomore Bella Loya scored first on a walk and then a hit-by-pitch. Senior Alexis Carrillo and sophomore Katie Wingerter then drove in two runs each: a double and a single, respectively. In the second and third innings, seniors Veronica Ruelius and Stephanie Abello did most of the work combining for five RBI’s to pick up the rest of the runs. 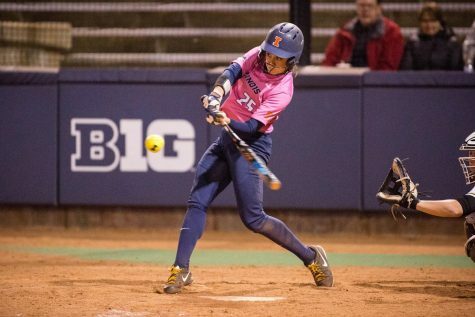 After UCSB scored two runs in the top of the fourth, Illinois’ senior Emily Oestreich closed out the run-rule win, only giving up one hit in the fifth inning. Illinois played a near-identical game against Cal Poly following the 11-2 win against UCSB. Senior Taylor Edwards led Illinois’ defense, giving up just one run on four hits in five innings. 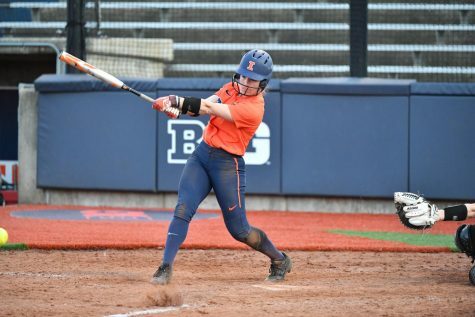 The Illini bats were just as hot to start off the second game as Illinois tallied five runs in the first inning. 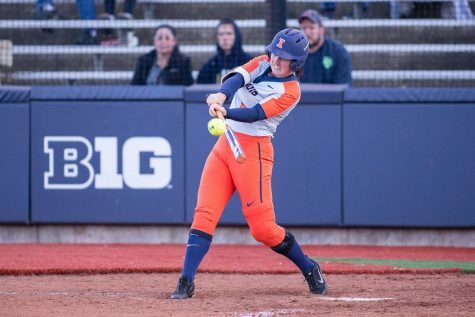 Lead-off hitter senior Kiana Sherlund scored first for the Illini. After being walked, Sherlund stole second then was batted in by redshirt senior Carly Thomas. Abello then came up with an RBI followed by a three-run homer from sophomore Maddison Demers. Illinois earned the run-rule win in the bottom of the fifth with a triple from sophomore Rhein Trochim to score two runs followed by an RBI from Ruelius to secure the 9-1 win. 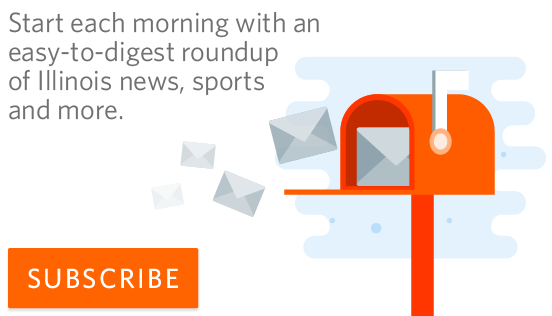 Following two quick wins, Saturday brought a challenge for Illinois as it faced No. 2 Oklahoma. After a strong first-inning performance by Edwards, the senior took the loss after giving up the first three runs in the second inning. Junior Akilah Mouzon, senior Danielle Brochu, and Oestreich all recorded time in the circle but continued to struggle giving up a total of eight runs in the 11-1 loss. Demers was the only Illini to score with a home run in the fifth. 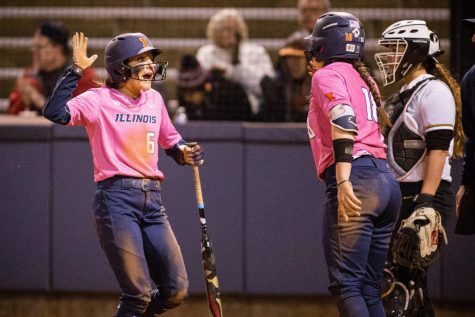 Despite the hard loss, Illinois bounced back against LMU, coming from behind twice to record the 5-2 win in extra innings. Sickels put up another tough performance for the Illini, controlling the circle throughout all eight innings. Illinois’ first two runs came from Fleming and freshman Zaria Dunlap, both scoring off errors at the plate. The Illini’s offense really came alive in the top of the eighth inning during the international tiebreaker. Thomas hit a two-run homer followed by an RBI from Demers, earning the Illini their third win of the tournament. Illinois closed out the tournament with a 4-1 win on Sunday morning over Cal Poly for the second time. 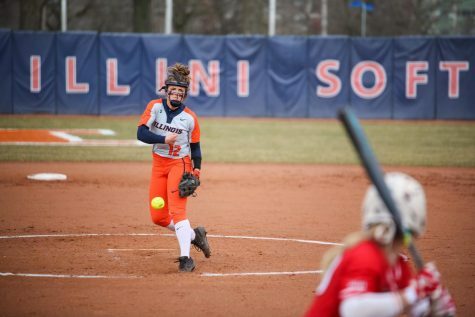 Perry’s confidence in Sickels was clear as the freshman pitched another entire game for the Illini tallying her 11th win. While the Illini didn’t score as many runs as they wanted, their bats showed out for another strong first-inning performance. Illinois’ three early runs were scored from RBI’s by Fleming and freshman Kailee Powell. 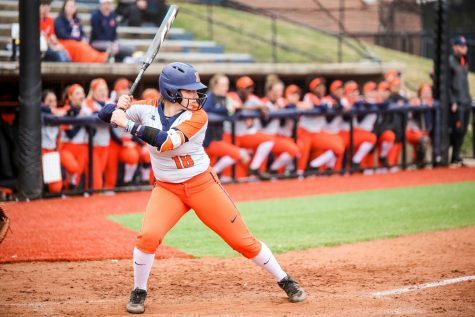 Illinois’ weekend performance at the plate was led by Fleming’s six hits and five runs along with six RBI’s from Demers. 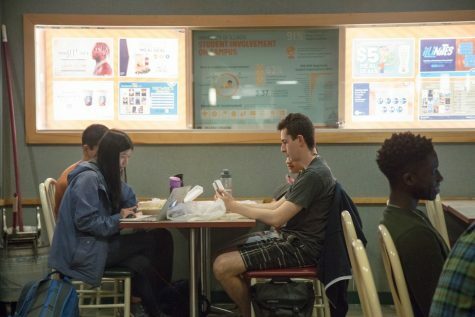 Sickels earned three wins from the circle over the weekend, recording no losses. 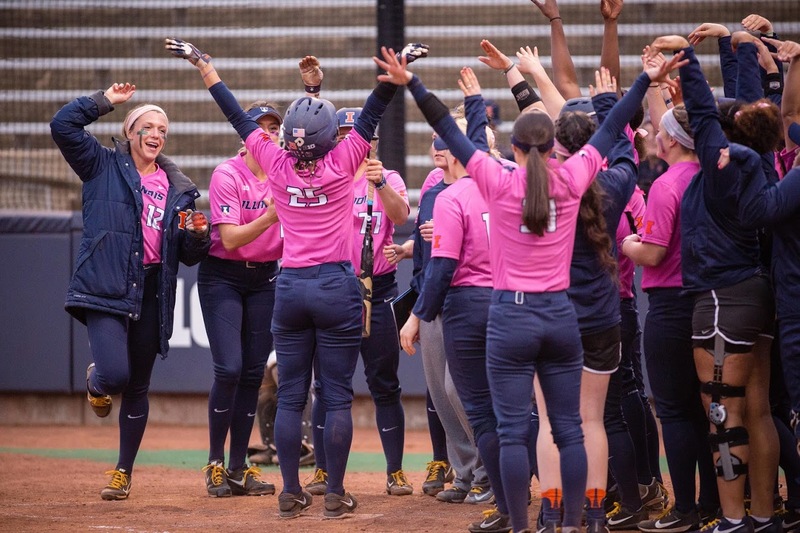 Up next, Illinois will come home to Eichelberger Field for the first time this season to face off against Indiana University-Purdue University Indianapolis on Tuesday and Indiana State on Wednesday.